Donna Moritz. How to Create Visual Content that Gets Shared Like Crazy. In this session, Donna will share her tips and tools for creating visuals that get shared like crazy. She'll cover the 5 elements of shareable visual content (including images & short video), tools to help you create visuals, and a few shortcuts to help you do it quickly and easily. Nathan Hague. YouTube Optimization Tips to Improve Your Search Rank. Nathan will share practical insights on YouTube ranking factors along with tools and hacks, which will help your videos rank higher. Olga Andrienko. How to Grow a Social Media Community from Scratch. 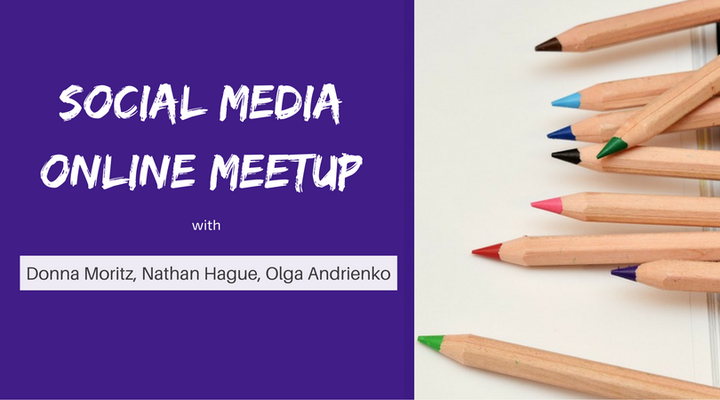 Olga will share the secrets of growing a strong community using Twitter chats, helpful tools and many other small things that make all the difference. Don't miss your chance to learn from the top social media pros and the opportunity to ask questions live!